The Pentax D FA 24-70mm f/2.8 ED SDM WR Lens features a versatile wide-to-short-telephoto range with a wide, constant f/2.8 maximum aperture that is fast enough for low-light events. The optical design minimizes chromatic aberrations and distortions, as well as produces a high degree of sharpness from edge-to-edge. You can shoot in inclement conditions thanks to weather-resistant construction with 13 separate seals to block moisture and dust from entering the lens. A Supersonic Direct-drive Motor delivers fast and quiet AF while Quick-Shift Focus System allows you to first use autofocus to acquire general focus on a subject, then instantly refine your focus position manually without the need for an AF/MF selector. A zoom lock lever prevents the lens from extending under its own weight when carrying. The Pentax D FA 24-70mm f/2.8 ED SDM WR Lens is ideal for portraits, events, traveling, and everyday shooting. 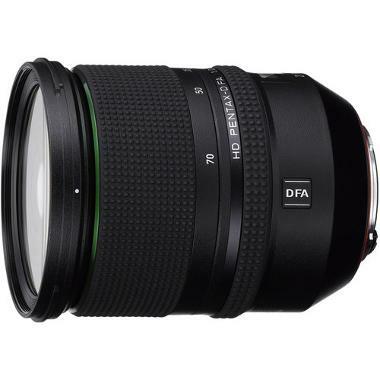 • This lens is compatible with Pentax K mount cameras in both full frame and crop frame sensors. 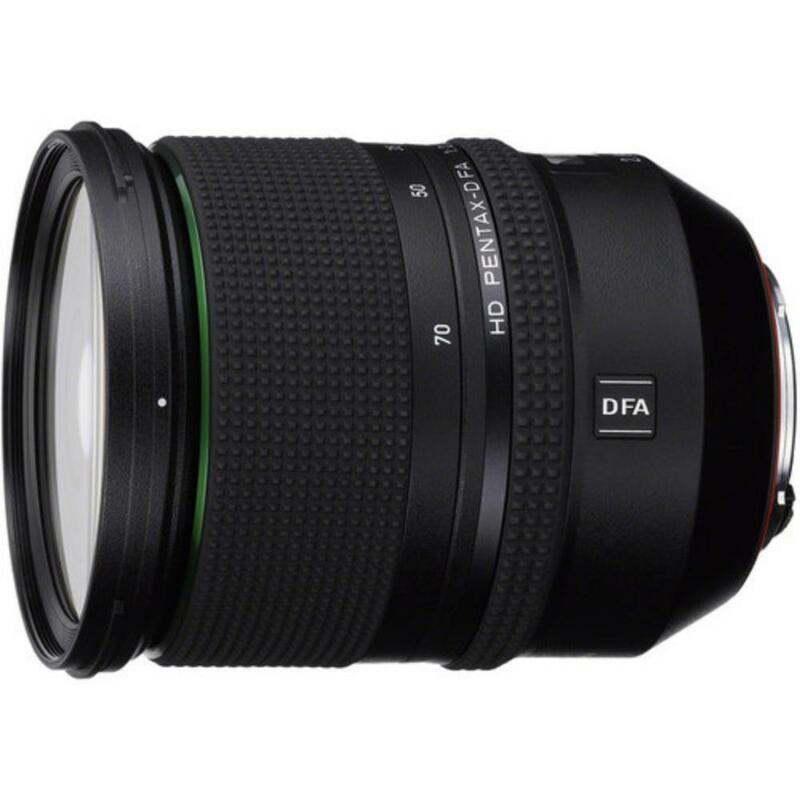 The focal length equivalent on crop frame sensors is 36-105mm.